Today, just about everyone, regardless of fitness level or chosen method of training, is doing abdominal planks, as everyone seems to understand and appreciate their benefits and practicality— planks require no equipment and are easy to learn. That said, there is still a large amount of room for improvement. 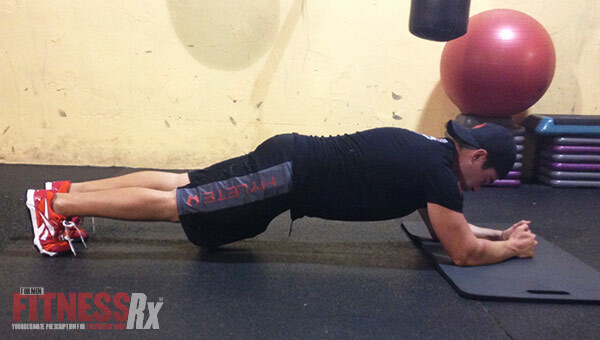 Not to mention, basic abdominal planks are just plain boring. 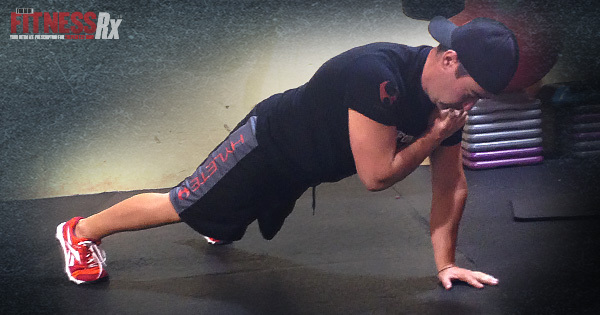 Put simply, an abdominal plank is a static hold (hover over the floor) performed from a push-up position on your forearms that requires your anterior core muscles, specifically the abdominals and hip flexors, to work in order to maintain your spinal alignment to prevent your lower back from over-arching and hips from sagging toward the floor. In this article I’m going to show you why 1) if you have been using regular planks, you’re probably just spinning your wheels, and 2) my top five abdominal plank progressions you can immediately apply to spice up your abdominal workouts and get more bang for your plank-training buck. If you can do a basic abdominal plank for 30 seconds, I’d say it’s time you stop boring yourself with them any longer and progress to the advanced plank versions I’ve provided you in the article. And not just for that reason, but also because you’re already doing basic planks every time you do push-ups. 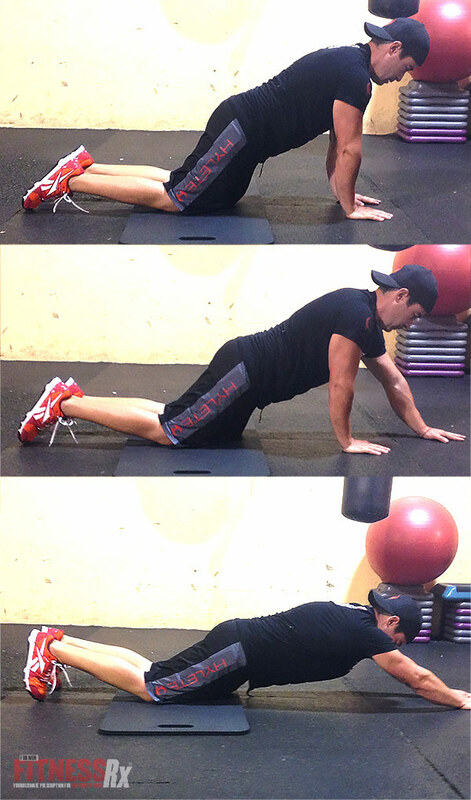 From a body position and core muscle activation perspective, a push-up is an abdominal plank because your torso is in the exact same position in both instances. The only difference is in the push-up, you’re also involving your chest, shoulders and triceps (in addition to the core muscle activation), therefore giving you more muscle activation, which makes your time more beneficial and productive. Not to mention that if you’re already doing push-ups in your workout, it is unnecessary to perform basic planks in your workouts because you’ve already done them (whether you were aware of it or not) when you were doing the push-ups. In short, instead of doing basic planks, I say just do push-ups— keeping good spinal alignment, of course— and, instead of boring yourself with a redundant basic abdominal plank workout, spend that time doing the advanced plank variations I’m providing you. There are really two types of planks and their variations: front planks and side planks. Put simply, and very generally, front planks are where your torso is positioned parallel to the floor (where you’re looking at the floor), whereas side planks are where your torso is positioned perpendicular to the floor (where you’re looking at the walls). I make this delineation to clarify that the plank variations this article focuses on are specifically (and exclusively) front plank variations. 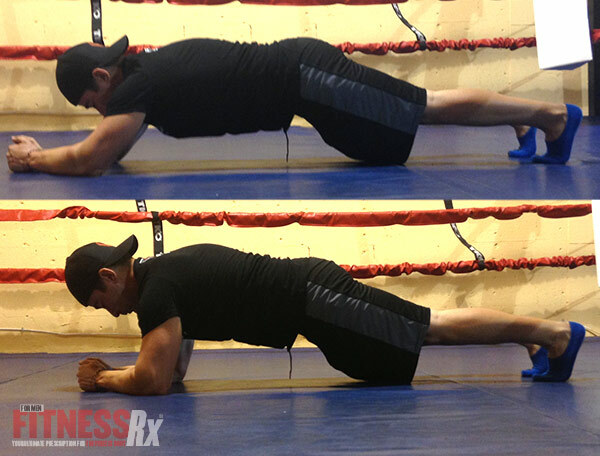 The top side plank variations demand its own stand-alone article. Before I show you my top five advanced abdominal plank variations, let me first make it clear that you have no business performing any of these higher-level progressions, or progression to any other type of exercise for that matter, until you can perform the basic plank— keeping good alignment— for at least 30 seconds. 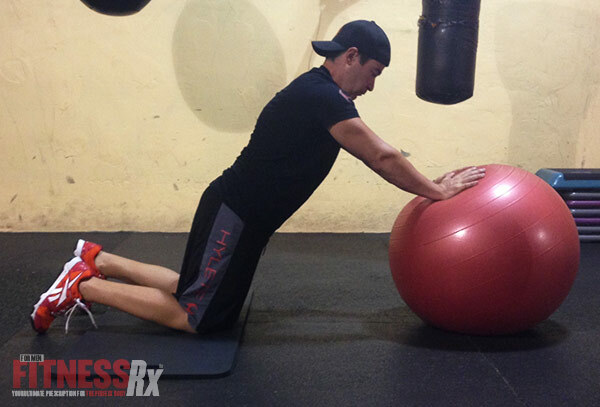 Perform two to three sets or six to 10 reps. Perform two to three sets. In each set, perform 2-3 holds on each side.